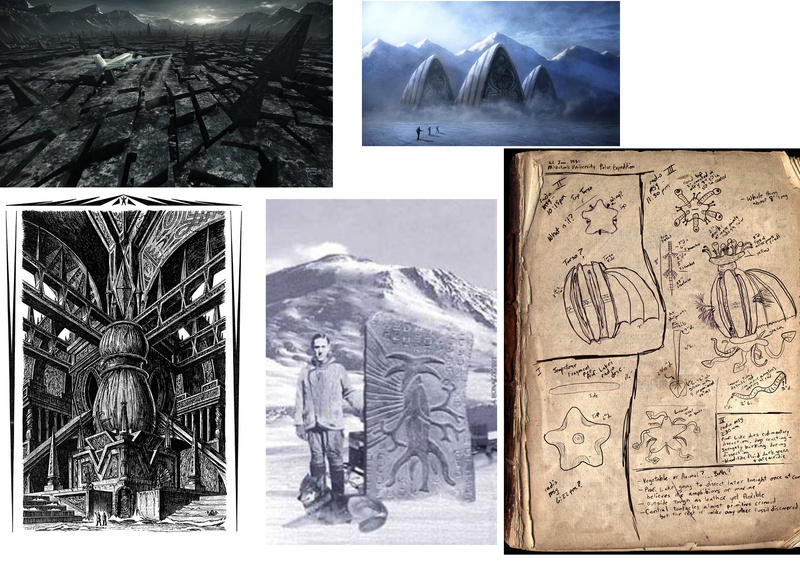 Although Mountains of Madness is a book here are som artist visual representations of the mountains and aliens though the descriptions given in the book. 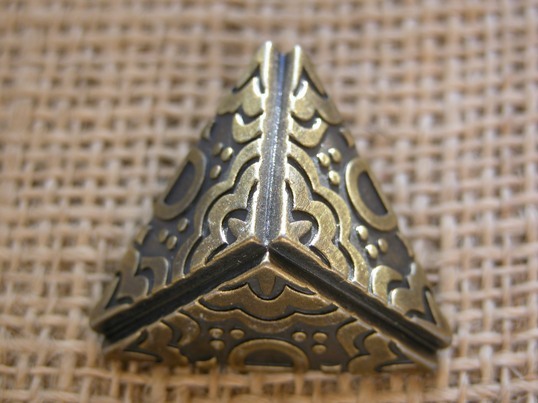 The top Left is a shot from the up and coming film as you can see they are almost metal pyramids engraved with Murals. With these types of films the environments are genrally based on old civilisations building such as pyramids, implying they have had some influence on our ancient cultures. They apply old tribal type limited knowledge of the world living that you would see in accent Greece or Egypt with modern technical equipment. This would show that they are very advance but have a civilised view of the world.